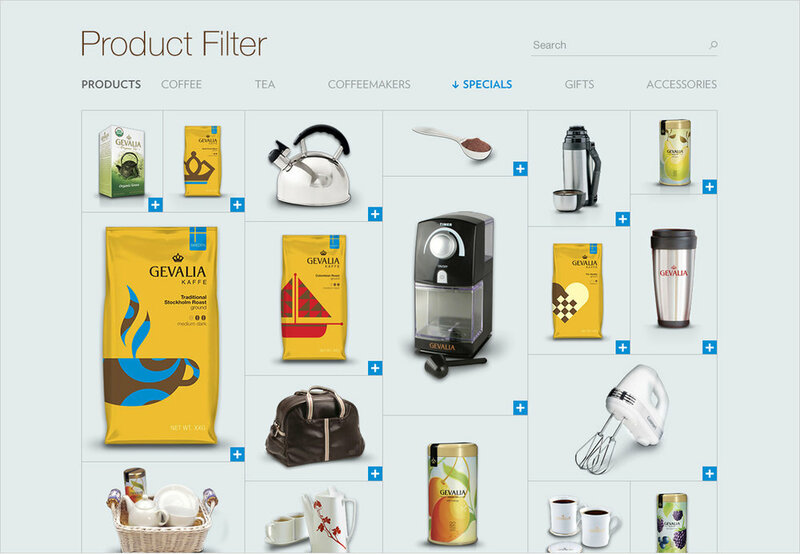 Working with Droga5 we developed ideas for a 360 degree advertising campaign and launch of the brand in the US market. 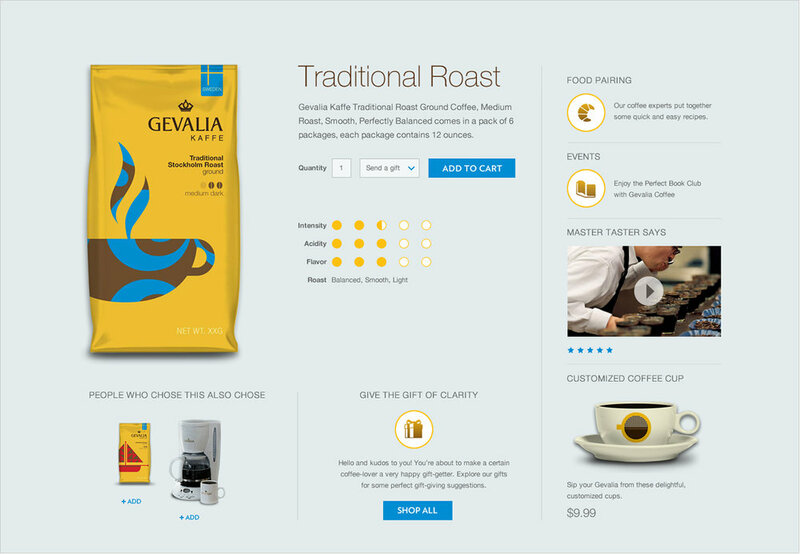 We helped pitch the redesign of an e-commerce website for Gevalia Coffee, a swedish brand owned by Kraft Foods. The brand is well-known in it's native Sweden, but few customers in the US know it. We worked together with a 360 team developing TV, print, in-store, packaging and event ideas for the brand.